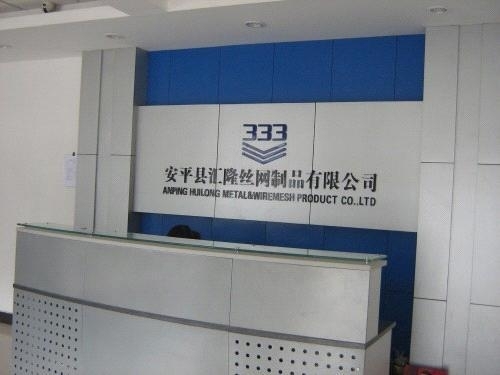 Anping Huilong Metal&Wire Mesh Product Co.Ltd is located in Anping,China and mainly engaged in the manufacture of a complete rang of hex steel, defending fences and other wire mesh products. At HUILONG we strive for a culture of enthusiasm, which through sustained and innovative investment in equipment and people, creates added value to the products and customers' business. Based on the belief to offer high quality, durable and environment friendly solutions, we have gained high commercial integrity and continued growth, which also made us established good business relationship with VALE, METSO,KRC,UNIWORLD, MMC, CHINA ROAD&BRIDGE CORPORATION,etc. Our HUILONG continuously make efforts for new technical solutions and more efficient applications with research and testing carried out by technicians and in cooperation with international customers.If you interested or need our help, just call us on phone, drop in, or send us an email. We are always at your service.